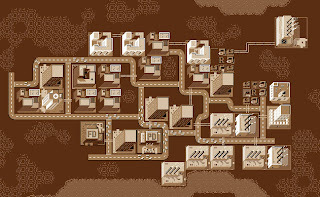 The first game that I owned, was Sim City. When I got my first computer it wasn't a game machine like the Amigas and Commodores my friends played with. No, I had to get an "IBM Compatible PC" which was supposed to also be useful for me in some way. It took a while before I even got that Sim City game, so I was mostly twittling around and trying to figure out how to use DOS. Sim City was significant in terms of storytelling because there really wasn't any story. I never spent much time with the scenarios, as I just liked to build my own cities. I would design the street layouts so that they would look like something when you looked at it from above, on my sweet "amber" monitor. This meant I had to make up my own stories about these cities. I wasn't especially interested in making the cities work well either, I just wanted them to look a certain way so that they would fit into my idea. Sometime later, I got a Gameboy, and then an NES. I played a lot of Mega Man 2, Super Mario Bros, Tetris, Probotector, Nintendo World Cup, and Duck Tales. But the first game that really had a story, and sunk its claws into me was on that archaic Gameboy. This was none other than Final Fantasy Adventure. Known to me in Germany as "Mystic Quest," I played this game like an addict. Like an adolescent addict, squinting at that tiny and blurry Gameboy screen. All the time. I ran around gaining my experience like it was crack, and saved up enough money to get the best weapons. But it was the story that kept me in there. I wanted to find the Mana Tree. I wanted to save the world, and in the end that's exactly what I did. Then I went through it all over again. I loved that game. It wasn't until several year later than I would find another game which was as compelling. I would see games like X-Com, Alone in the Dark, and Ultima VIII on the PC at friends' houses, but it wouldn't be till much later that I would get to play them. The next games that made a big impact arrived in '93 on Christmas. That was the day I got my SNES, and several big games, including Street Fighter II, Mortal Kombat, FF: Mystic Quest, and Zelda. 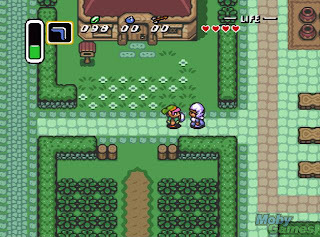 Ah yes, it was Zelda: A Link to the Past that did it. I had ached to play Zelda for a long time, and at last that time had come. Once more I was wrapped up in the story, the characters, and the world. I had Zelda on my mind all the time. At school I couldn't think about anything else. I needed to figure out that next puzzle, get that next item, and just keep on living in the wonderful world of Hyrule. In retrospect, the story of that game isn't all that involving, as Zelda focuses more on game play. But somehow that combination turned that game into another addiction for me. Mystic Quest, though enjoyable to me, did not stand a chance against Zelda, which dominated the 16bit cartridge slot of my SNES for long time. Zelda’s hold on me was not quite as powerful as that of FF Adventure, since I only played it once. Afterwards I got hooked on numerous gems of the SNES era. Among them were Wing Commander and Starfox. 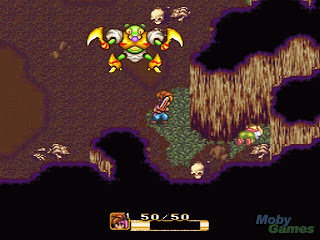 One honorable mention for storytelling has to go to Secret of Mana. I remember spending quite some time with that game as well, but I regret that I never finished it. Not much later than that I managed to borrow Final Fantasy III, which we now know as VI. And what kind of gamer would I be if I didn't get obsessed with the story of that game? Not a very story-oriented one, that's what. 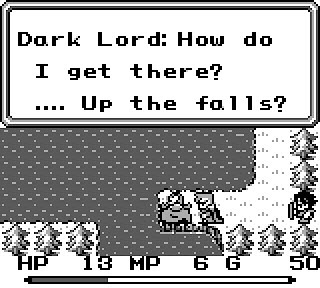 FFIII certainly had one of the most powerful and intricate stories in its day. And even though I was a late comer to that game, it still grabbed me with the ferocity of a proper FF game. Much to my demise, however, it was a borrowed game. And so, the entirety of FFIII was not meant for me as I had to return it. This was certainly detrimental to my experience of the games storytelling powers. 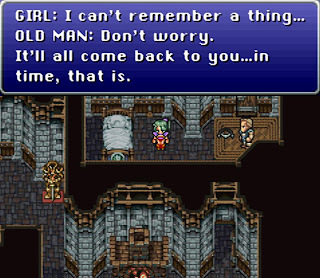 In summary, the games which get the prestigious Mentis Award for Storytelling are SimCity, Final Fantasy Adventure, Legend of Zelda: A Link to the Past, and Final Fantasy III (U) or VI (J). Honorable Mention goes to Secret of Mana. In the next part of my completely subjective game awards, I'll be exploring the next generation of 32-bit wonders that swept through our homes and minds. Read on!